Agraria Lavender & Rosemary Incense is a unique and deeply aromatic blend of French lavender and Italian rosemary is enriched with the zest of bergamot and a few drops of English amber. 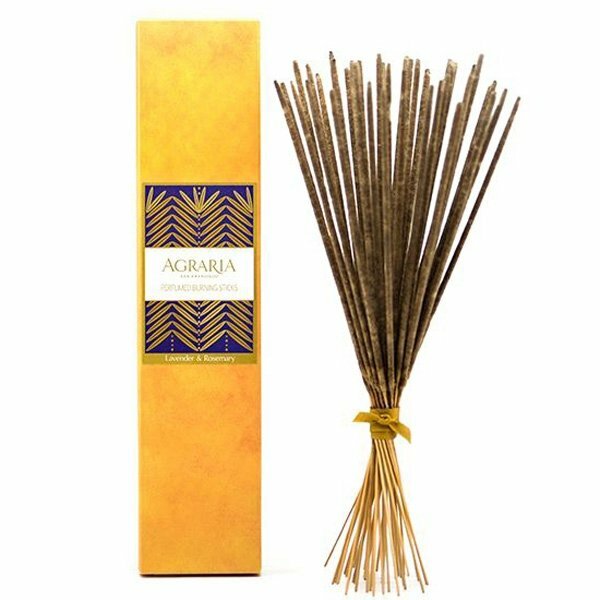 Agraria incense is luxuriously infused with essential oils boasting a generous fragrance load of 50%. If you don't have a holder, try sticking them in a potted plant and don't worry where the ash falls. Also, use them outside as a fragrant way to greet guests as they come through the garden gate.